Power Man guest-stars! 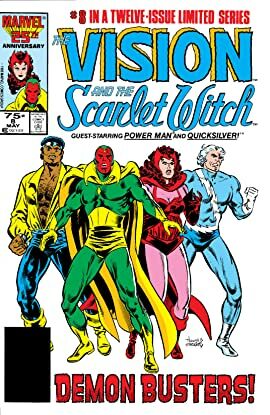 Quicksilver, Scarlet Witch and Vision join the Harlem hero for a demon bust. Crystal’s fling with Norm Webster heats up. He's a synthetic man! 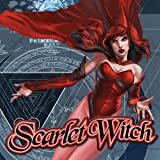 She's a mutant sorceress! Once they were outcasts, but now they have each other, and a love which can withstand every danger they face! 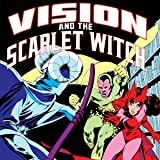 Steve Englehart and Richard Howell present…Vision and the Scarlet Witch! 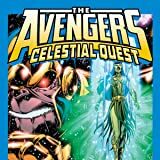 The Avengers' odd couple star in their own mini-series! 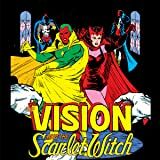 Scarlet Witch and Vision have enough challenges in their marriage; she is a hot blooded mystic mutant, while Vision is a calculating automaton. Together they are an unstoppable force in battle. 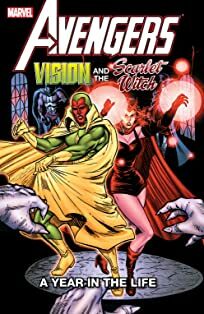 In their first issue, Scarlet Witch faces a gaggle of demonic foes on Halloween. Good thing she brought back-up! 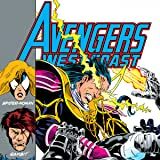 The Avengers make their West Coast debut! Newlyweds Hawkeye and Mockingbird check out a California compound while awaiting the arrival of their team. Enter the mysterious Shroud! Plus, Tigra and Iron Man join the Cali-crew!